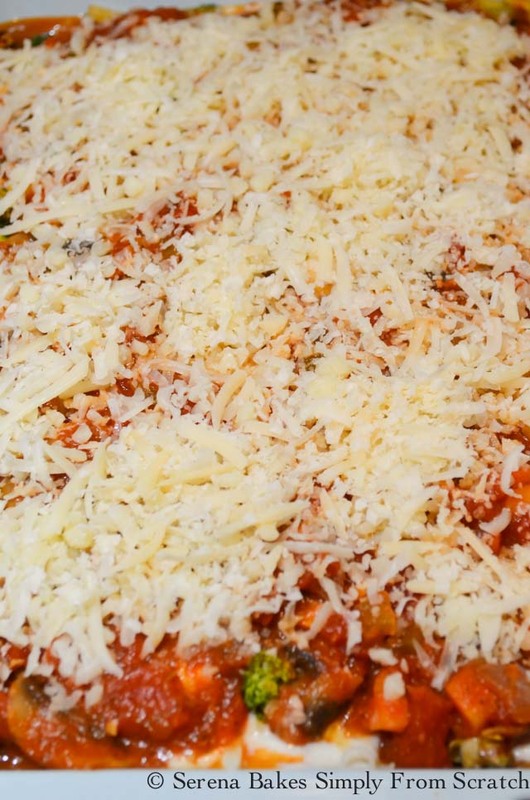 Simply the BEST Roasted Vegetable Lasagna recipe! At least according to Colt and the kids. You'll have to try it and let me know if you agree. We love Lasagna in our house. Well we love ricotta-less lasagna in our house, because Logan doesn't care for ricotta. He'll eat it, but doesn't absolutely love it. So, I always make a white sauce aka béchamel instead of ricotta or cottage cheese which makes for an even more mind blowing mouth experience. 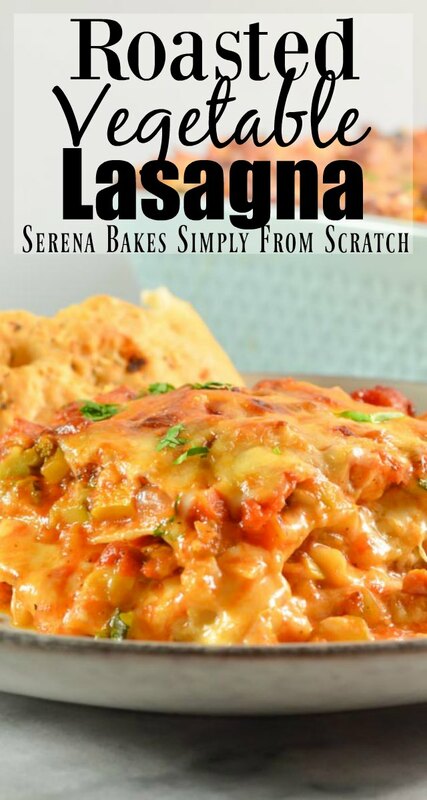 Sometimes I like to change up our favorite Best Ever Baked Lasagna with Roasted Veggies. It's a true toss up in our house between both lasagnas. I can't choose which one I love more, both are so delicious! 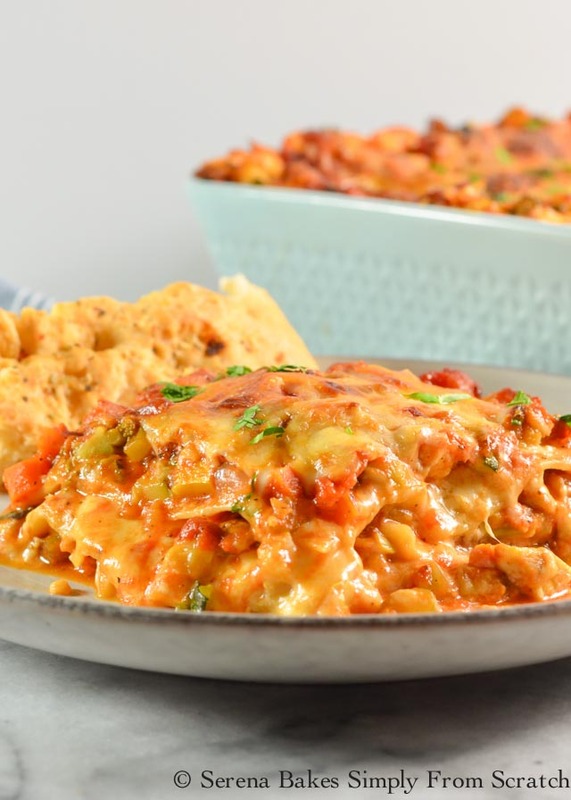 The cheesy saucy goodness makes it easy to hide the veggies between layers of pasta without a complaint, and the roasting of veggies adds a nice hearty flavor to make up for the lack of meat. It's a favorite on Meatless Mondays or when we have a guest over who is vegetarian, but still consumes dairy. We also make it on Tuesdays, Wednesdays, Thursdays, Fridays, Saturdays, and Sundays, because it's just that good! Peel and Dice 1whole Medium-ish Sized Eggplant, and toss with 1 teaspoon Salt. 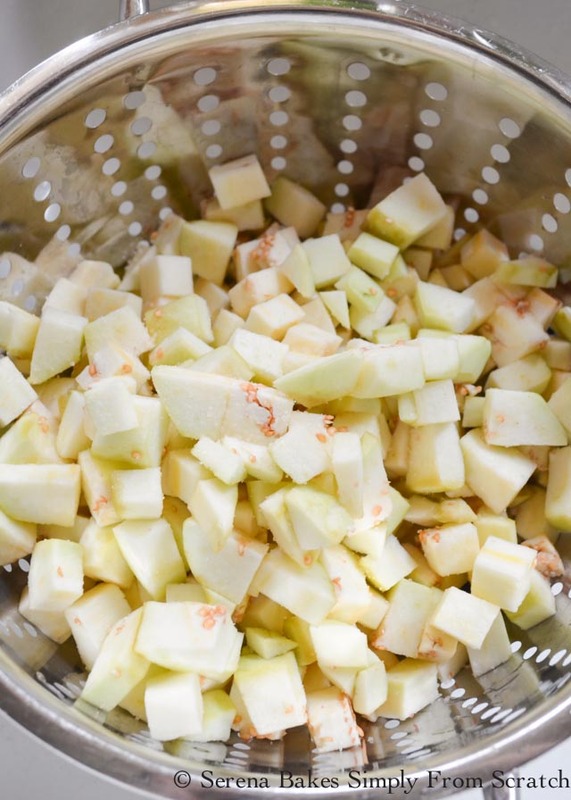 Place it in a colander, and allow it to sit for 30 minutes either in the sink or over a bowl. It's amazing how much liquid will come out of the eggplant during this time. After 30 minutes it's going to look like this.. Rinse it well, and pat dry with a clean dry kitchen towel or paper towels. Drizzle with about 2 tablespoons Olive Oil and toss to coat. Spread out evenly on a baking sheet. Drizzle with about 2-3 tablespoons Olive Oil, until lightly coated. Roast veggies in a 400° oven for 25 minutes, or until golden brown stirring about half way through to promote even color. Toss together all the veggies, and set aside. 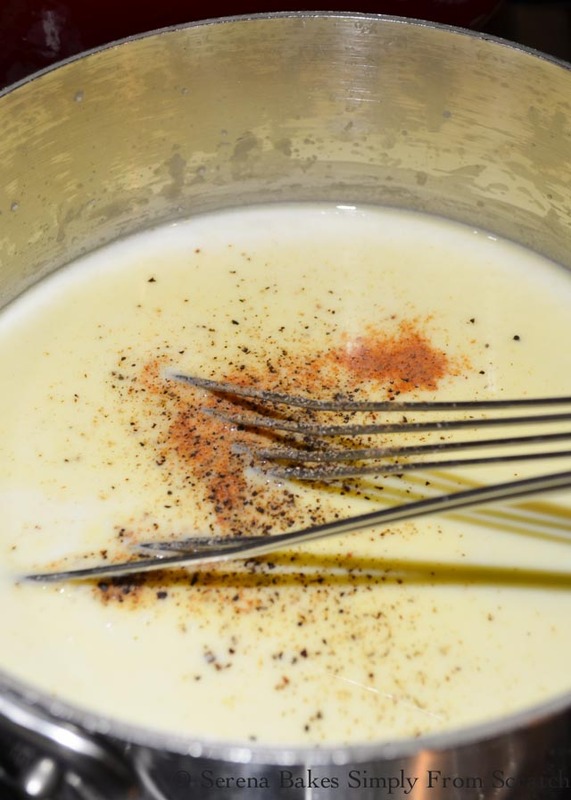 To make the Béchamel Sauce aka White Sauce which is like the best thing ever: Heat 3 cups Whole Milk until hot, but not boiling, and set aside. Melt 2 tablespoons Butter, and 1 tablespoon Olive Oil. Sprinkle 1/4 cup All-Purpose Flour over the top, and whisk until well combined. Cook flour mixture for 1-2 minutes, until flour starts to bubble, and just barely color. Slowly drizzle in hot milk while whisking. Cook until sauce is thickened to the consistency of cheese sauce. Stir in 1/4 teaspoon Ground Nutmeg, Ground Pepper To Taste, and a pinch of salt. Mix until well combined, and set aside. 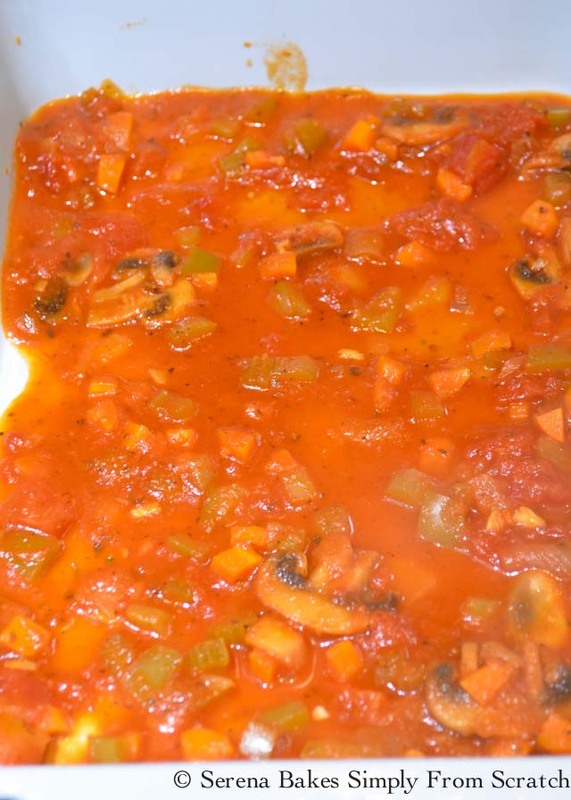 Spread 2 cups Meatless Spaghetti Sauce in the bottom of a 9"x13" Deep Dish Pan. I just left the meat out of my Spaghetti Sauce this time, but Artichoke Mushroom Tomato Sauce is also delicious for this. Cover with 3 Sheets No Boil Lasagna Noodles or if you're really feeling fancy you could make Homemade Lasagna Noodles. I really prefer the no boil noodles over traditional dried lasagna noodles. They seem to be the closest resemblance to homemade noodles when you don't have the time, and also require less work. Double win in my book. Cover noodles with 1/3 of White Sauce. Then cover with 1 cup Freshly Grated Mozzarella Cheese, and 1/4 cup Grated Parmesan Cheese. 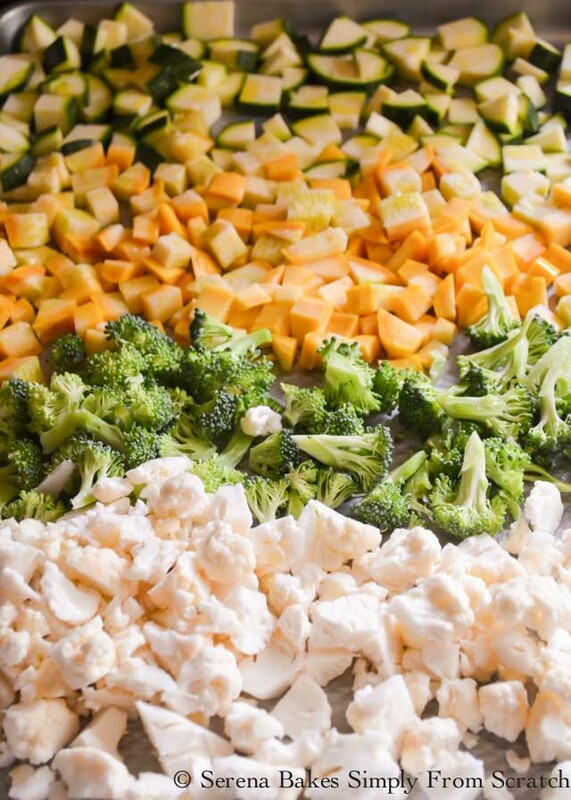 Cover cheese with 1/3 of Roasted Vegetables. Cover vegetables with 1 1/4 cup Meatless Spaghetti Sauce, and repeat layer ending with spaghetti sauce. 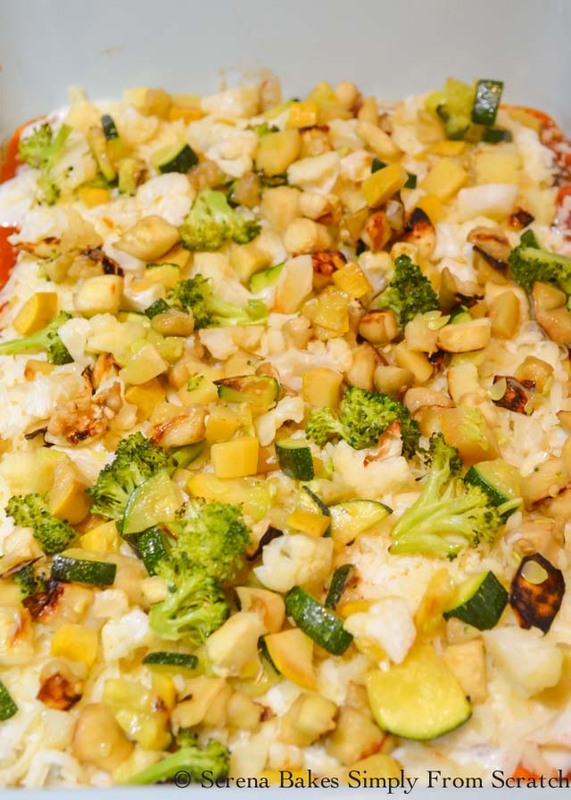 For the last layer add 3 Sheets Noodles, cover with remaining 1/3 of the White Sauce, 1 cup Mozzarella, 1/4 cup Parmesan Cheese, and remaining 1/3 of the Roasted Vegetables. Then cover with remaining 1 1/4 cups Spaghetti Sauce, 1 cup Grated Mozzarella Cheese, and 1/4 cup Grated Parmesan Cheese. Tent foil over the top being careful not to touch cheese. Bake at 375° for 45 minutes. Remove foil, and bake an additional 15-20 minutes, until golden brown. Garnish with Fresh Chopped Basil if desired, and serve. So good and the perfect veggie fix! 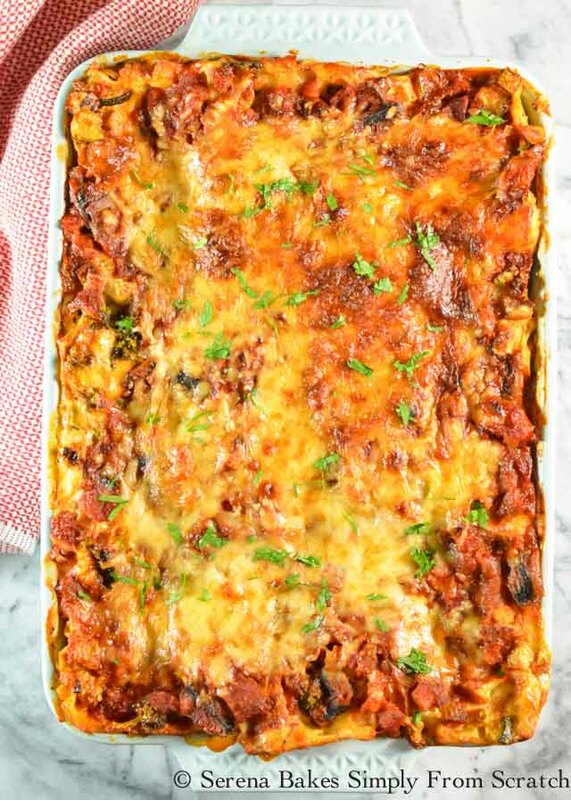 Roasted Vegetable Lasagna is the best recipe to sneak in your veggies with eggplant, zucchini, summer squash, broccoli, and cauliflower from Serena Bakes Simply From Scratch. Toss eggplant with salt. Place in a colander in sink over over a bowl, and allow it to sit for 30 minutes. Eggplant will let off liquid as it sits. 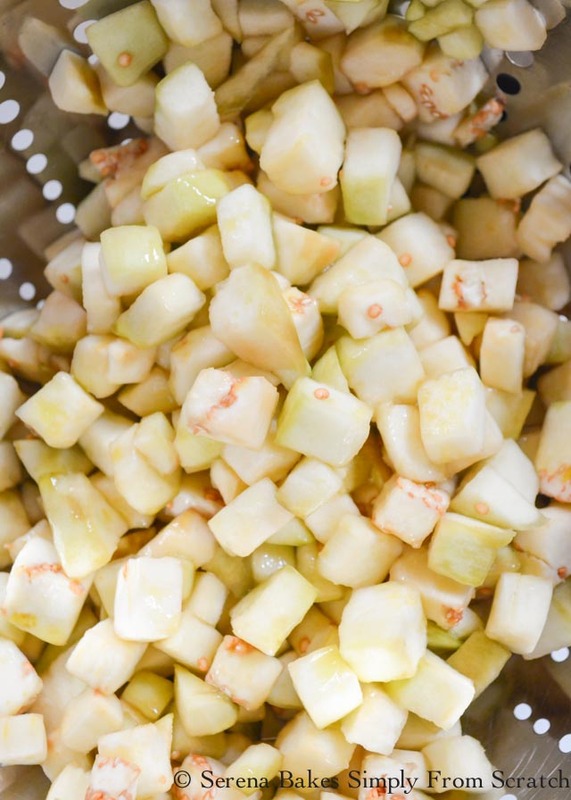 Rinse eggplant under cold water, and pat dry with clean kitchen towels or paper towels. Drizzle eggplant with 2 tablespoons olive oil, and spread out evenly on a baking sheet. Toss remaining vegetables with remaining olive oil, and spread out evenly on baking sheet. Bake both sheets of veggies for about 25 minutes until starting to turn golden brown. Stir veggies halfway through to promote even color. 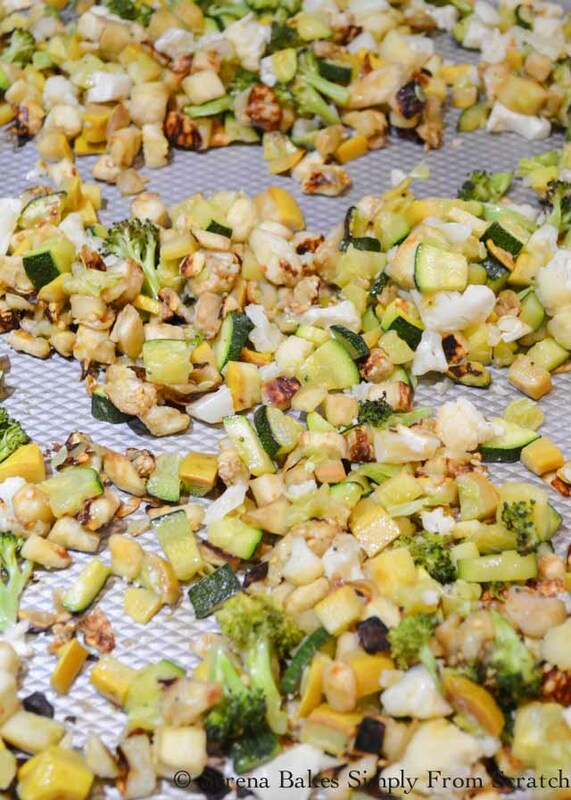 Toss together all the roasted veggies, and set aside. Heat milk until hot, but not boiling. Set aside. Melt butter with olive oil. Sprinkle flour over the top, and whisk until combined. Cook flour for 1-2 minutes, until bubbling, and just barely starting to color. Slowly drizzle in hot milk while whisking. Cook until the consistency of a thin cheese sauce. Whisk in nutmeg, pepper, and salt. Mix until well combined, and set aside. 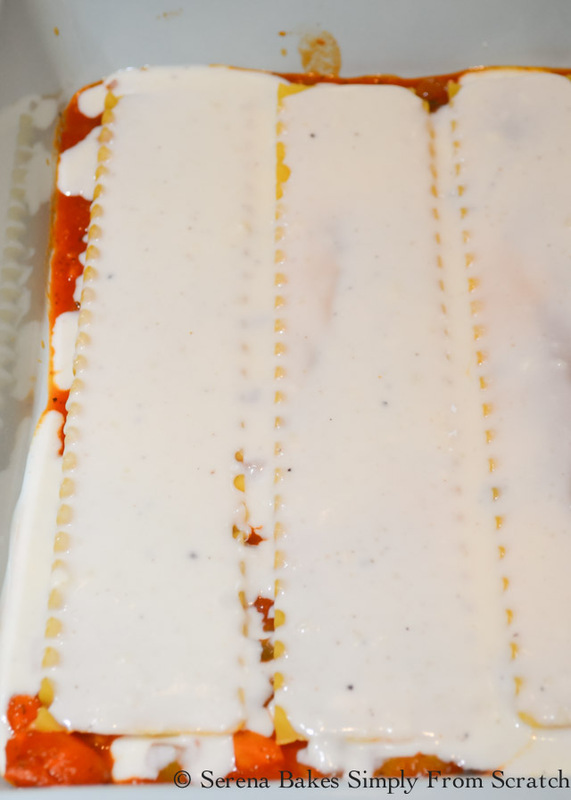 Spread 2 cups of sauce in the bottom of a 9"x13" Deep Dish Casserole Pan. 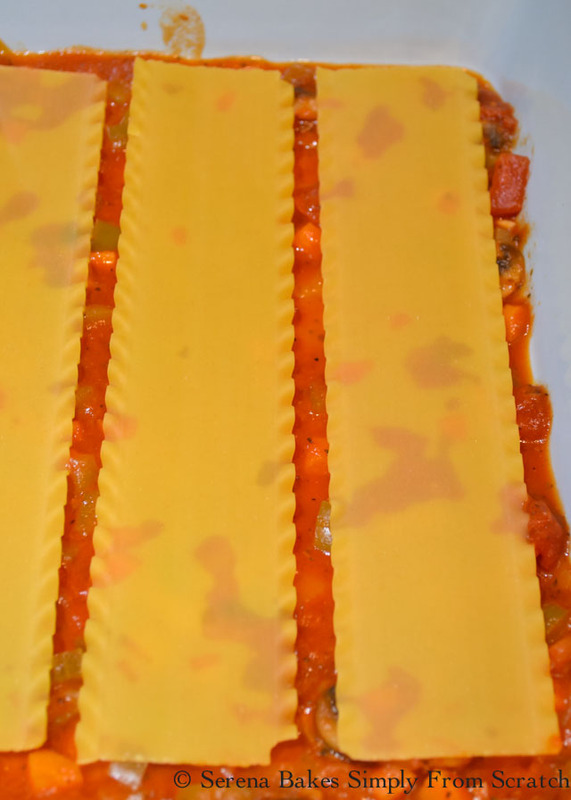 Cover with 3 sheet no bake lasagna noodles, and leave room for expansion. Cover noodles with 1/3 of white sauce, 1 cup mozzarella cheese, and 1/4 cup parmesan cheese. Spread 1/3 of roasted veggies evenly over cheese. Spread 1 1/4 cup spaghetti sauce evenly over the top. Repeat layers of noodles, white sauce, cheese, roasted veggies, and sauce, until you have 3 layers. 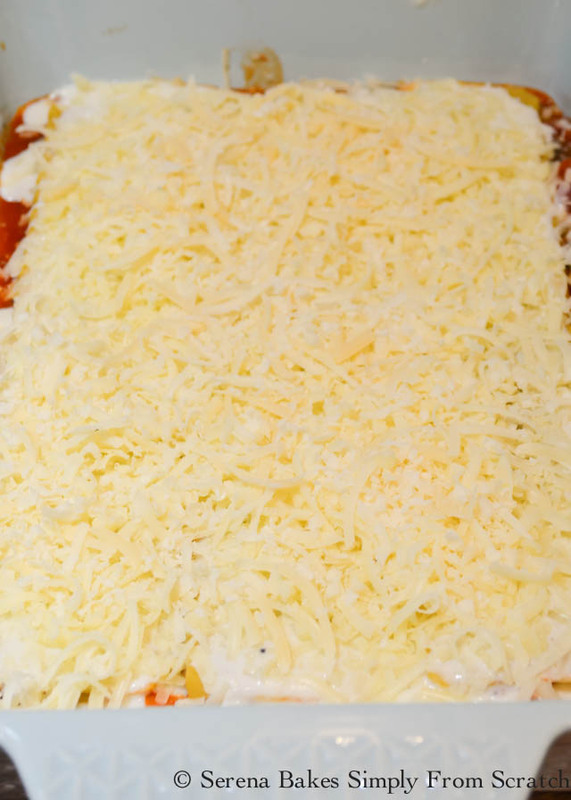 Cover the last layer of spaghetti sauce with remain mozzarella, and parmesan cheese. Tent lasagna with foil, so it doesn't touch the cheese. Bake for 45 minutes. Remove foil. Bake an additional 15-20 minutes until bubbly and lightly brown. Allow to rest 15-20 minutes before slicing.